Our indoor and outdoor displays are a fascinating labyrinth open to explorers of all ages, 7 days a week. 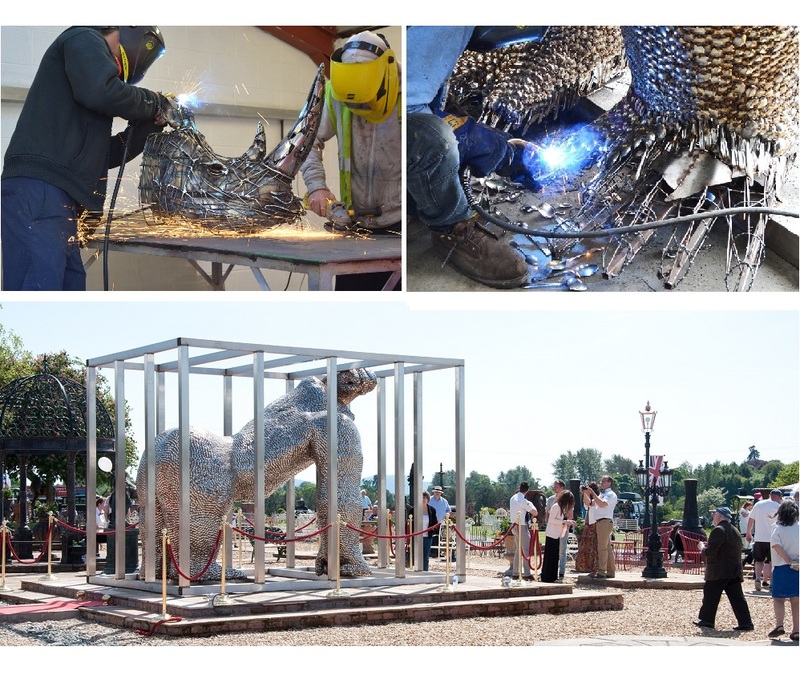 Our centre is one of the largest and most exciting metal work displays in the country.  Find out why we’re rated as a 5* destination by visiting our TripAdvisor page. We are approximately 1hr from Birmingham, Chester, and Manchester. During times of adverse weather and throughout public holidays, please do check our Facebook page for live updates and information about opening. Facebook updates are posted throughout the day to ensure you stay informed. Please note that for September and March winter opening hours apply. 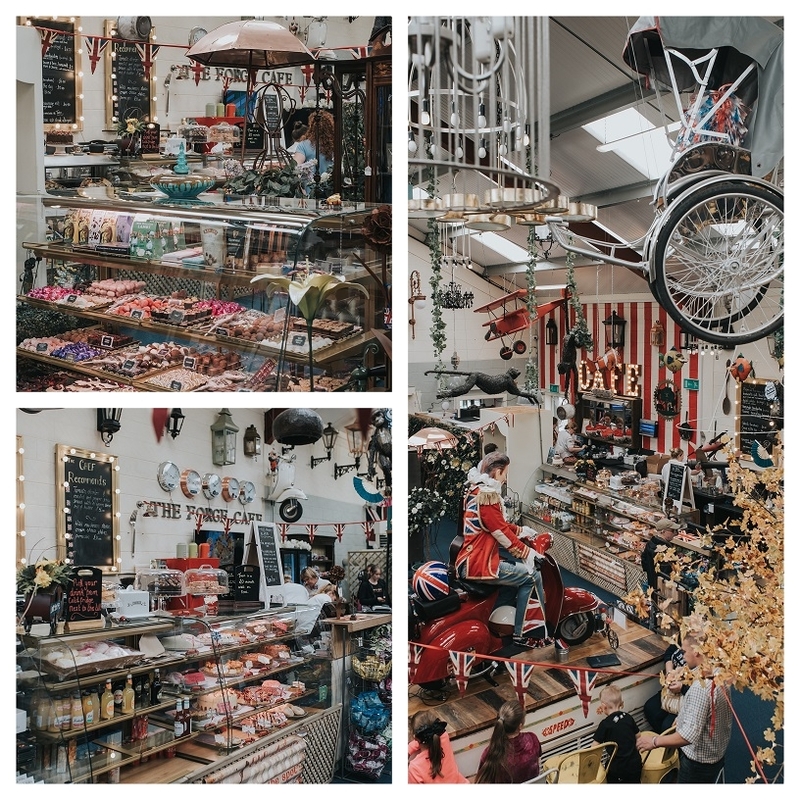 To ensure your visit is as enjoyable and fulfilling as possible, please ring ahead to make sure the items you are interested in are available in the size and finish that you want and make a note of the person’s name that you corresponded with. As a company, we are very creative, and our passion is designing and redesigning fabulous new products. We aim to bring life back to many of the old and wonderful items of iron artwork that are no longer seen today. We have been able to delve deep, collect and recreate a huge range of stunning historical items which, otherwise, would have been lost forever. We pride ourselves on antique and vintage products that are a joy to see and a delight to use. Over the years we have had the pleasure of assisting many other companies and organisations by providing them with artefacts, products and props that we have been able to reproduce in stunning, and almost original, quality. We are proud to say that our products can be seen in films, such as Nanny McPhee and the all-star cast Murder on the Orient Express 2017 remake, as well as television dramas like Emmerdale and Hollyoaks. The exciting drama Paradise Ladies was provided with our exquisite Victorian lamp posts and lanterns. Our stunning lacework pavilions, gazebos and tree seats have also been featured with Alan Titchmarsh on Love Your Garden with the Royal Alexandria gazebo displayed at the renowned Grand Designs show, held at the Birmingham NEC. 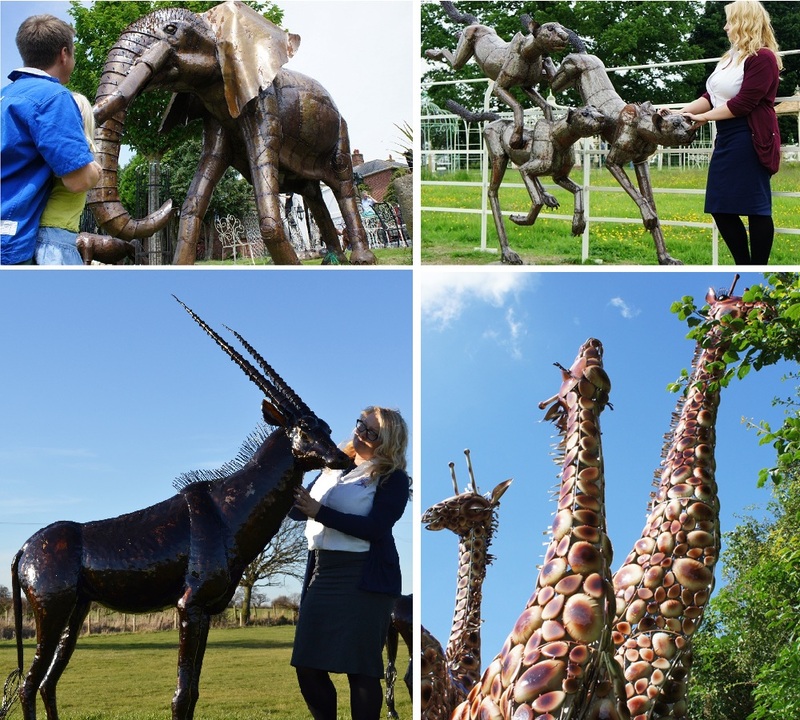 We have everything from larger than life animals, flowers and water features, through to almost anything you could wish for the home, garden and grounds. Not only do we make strong, beautiful hardware that is built to last but we have created delicate fretwork and hand-wrought scroll detailing for particular items, too. 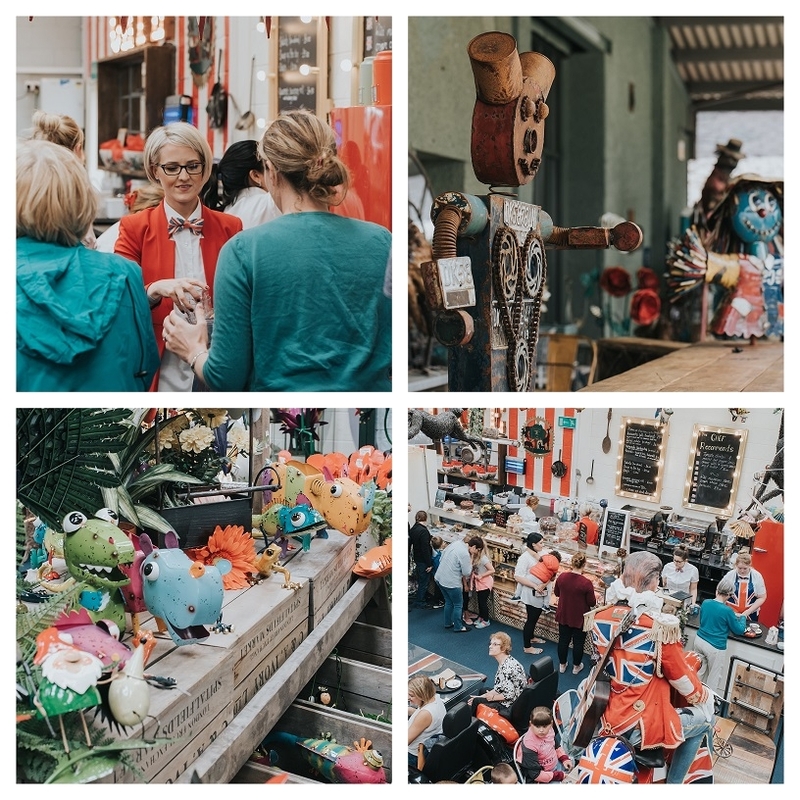 We now feel we can make an even bigger contribution to our local community by opening our doors and sharing what we do with anyone who would like to come along and see for themselves, the beauty that can be found in hand crafted products, and the diversity of things that can be made using metal. 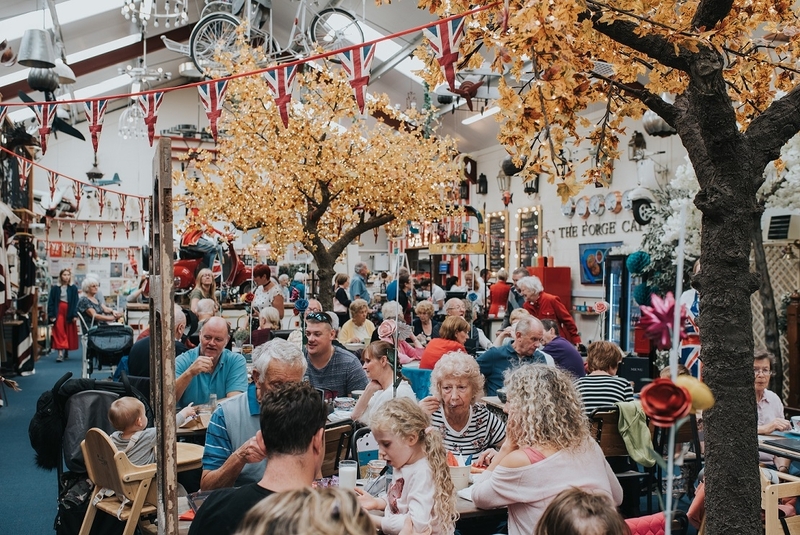 We offer membership, for a nominal yearly subscription, that will enable members to visit whenever they wish, enjoy a lovely cup of tea or coffee or perhaps a slice of homemade cake, and can benefit from discounts and special offers on anything they wish to take away with them. We ensure members are kept up-to-date with regular newsletters and information on our shows and exhibits across the UK. All monies raised through the membership will be donated back into our local community, given wherever it is most needed. We love, passionately, what we do. This a wonderful resource, that can be recycled time and again, is a fundamental part of our lives and a product that we cannot function without. To be able to bring it to you in a million different guises is our greatest joy! The Forge Café offers a relaxing and interesting place to view the talents on display. Set in the heart of our showroom the café allows you to rest a while on leather sofas or sit aloft on fun tractor style stools. We also have a large outdoor seating area both on the covered veranda or out on the terrace that enables visitors to enjoy al fresco dining whilst taking in views of the Iron Safari. 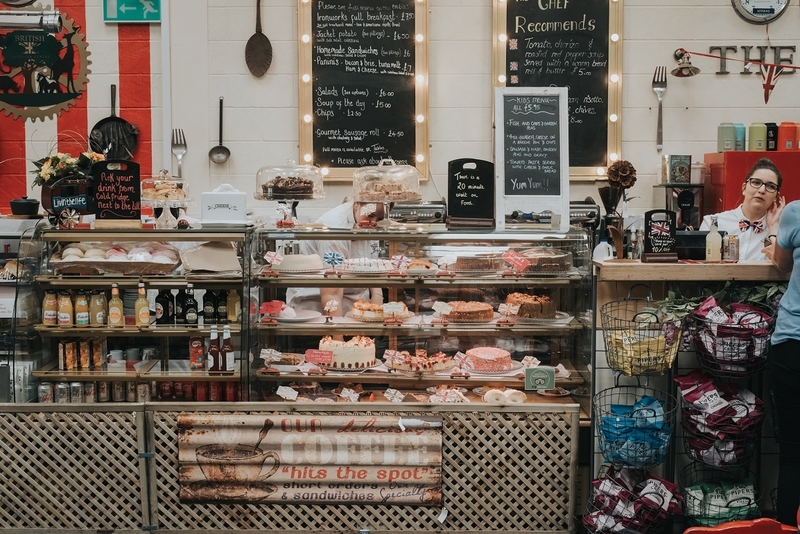 The café serves a delicious range of fresh bean-to-cup coffee as well as high quality loose-leaf tea and, for those with a sweet tooth, we have a wide range of scrumptious homemade cakes, bakes and treats to cater for almost everyone! The latest additions to our savoury menu include a range of freshly prepared hot jacket potatoes and homemade soups, from delicious classics to more luxurious and unusual flavours. We also offer something for all dietry requirements, including vegan and gluten-free options. Why not stop by and sample our delights today! We also offer a range of interactive workshops. Here you can speak to our talented artisans and watch them at work! On site we have a dedicated Blacksmith, Silversmith, Potter, Candle Maker, and Sculptors.  Each are ready and willing to answer all your burning questions and offer special Gift Experiences for those who want to learn something new or take their pre-existing skills to the next level. Looking for the perfect family day out? Look no further! Here at Black Country Metal Works we have something for everyone! From free ice cream for kids, to an interactive forge, to our famous Iron Safari, there is definitely something here for every single visitor! Join us this weekend, what are you waiting for?